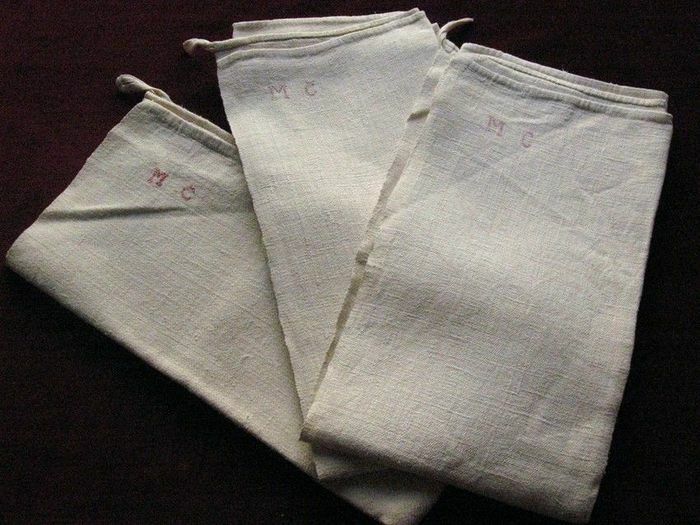 A set of three ecru pure hemp hand loomed 19th century dish towels - a wonderful document of high quality preserved in perfect condition. Each towel has a monogram MC in one corner, two in pink needle point and the third in a soft red. Hand-hemmed. Dimensions: 28.5 x 28.in.